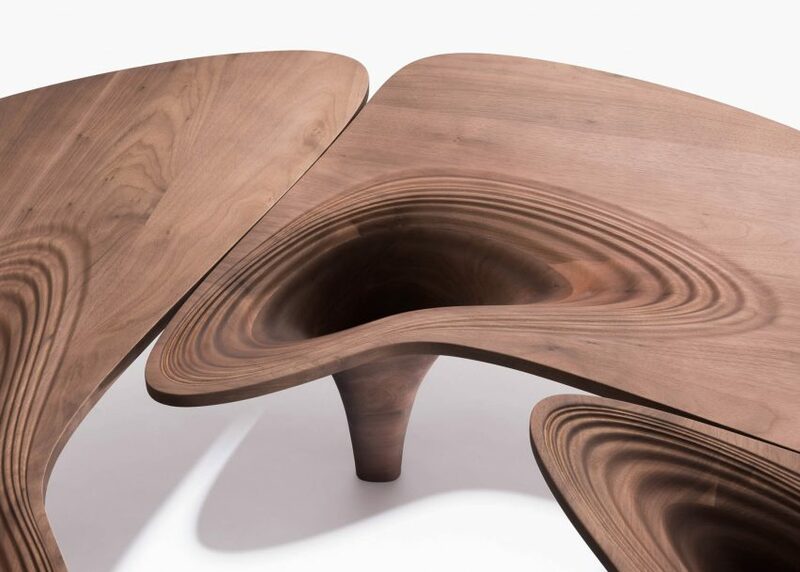 Zaha Hadid's final furniture collection for London's David Gill Gallery is made of walnut and leather, a reference to vintage furniture from the 50s and 60s. 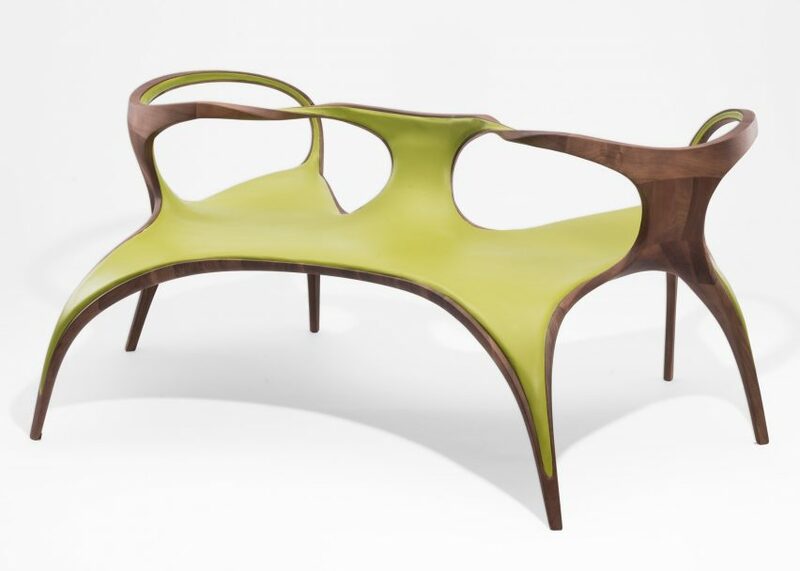 UltraStellar is the last furniture collection that Hadid created for her long-term gallerist and close friend David Gill before she suffered a fatal heart attack in March at the age of 65. The collection – finished by her practice, Zaha Hadid Architects – references mid-century furniture through its use of wood rather than Hadid's typical material of choice, clear acrylic. 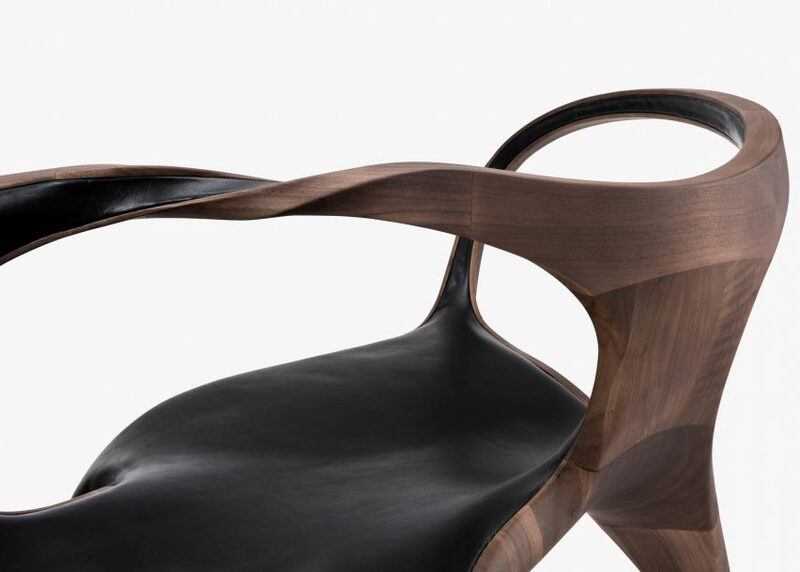 Walnut, chosen for its colour, is curved into Hadid's famous fluid and sinuous lines. The designer aimed to create sturdy pieces that appear lightweight. "My partner was inspired by seeing some of the timber antiques from the 50s and 60s," explained Patrik Schumacher, who worked closely with Hadid on UltraStellar. "We've been looking at furniture for a while and looking recently at carbon fibre and trying to achieve more lightness and robustness at the same time," he continued. "We realised that timber can be very strong and very light." "The beautiful surfaces are continuously twisting and moving and they are always double-curved, so they are very organic." The coffee table is made up of four parts that wrap a large hole in the middle. Each part also has a deep ripple in its centre, revealing the floor below. 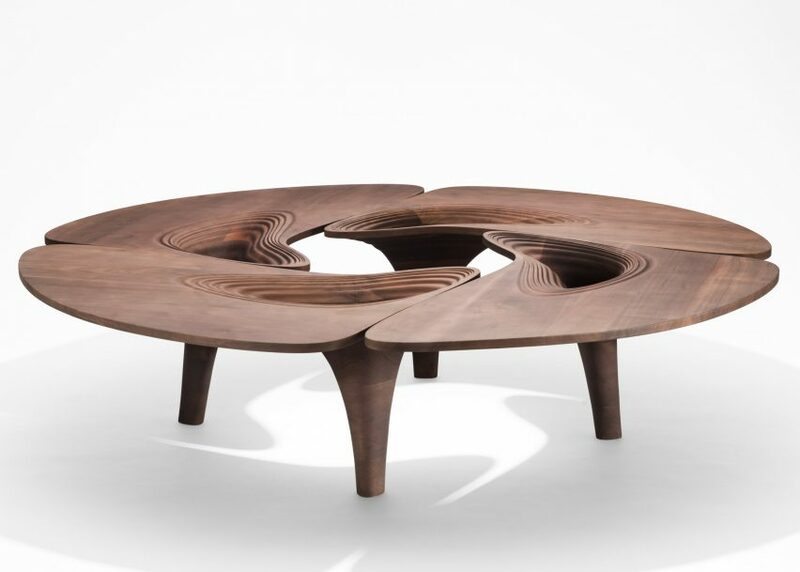 "The idea of making the holes in the tables is to make a certain sense of lightness, to have more visual connection with the structure of the legs when you sit down," explained Schumacher. Described as "structurally ambitious", the largest piece in the collection is the dining room table. 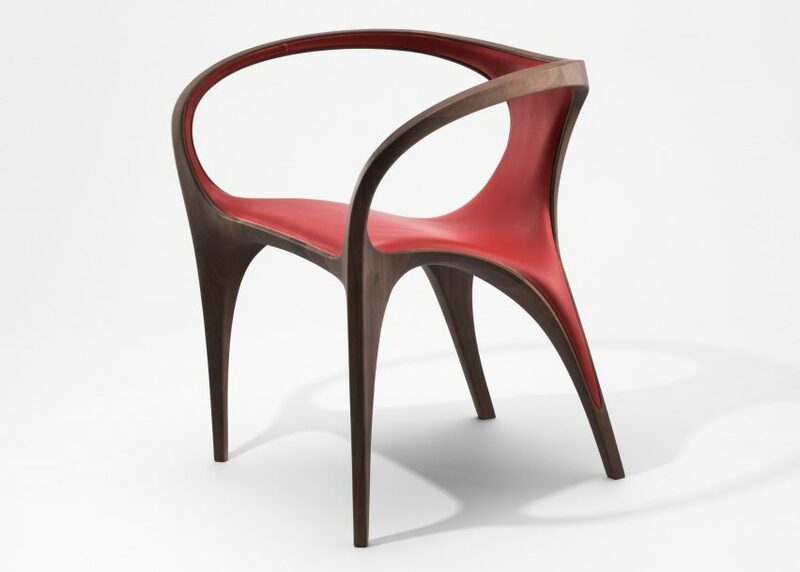 It has two irregularly shaped, thick legs that support the oval-shaped top. At the centre of the table is a lens-shaped glass eye. The dining chair features arched armrests and tapered legs, with leather detailing that extends to the bottom of the chair legs. The design has also been adapted into love seats, which are connected by twisted armrests and allow groups of people to gather together. The Lisse Chandelier, which was first shown as a prototype at 2014's London Design Festival, also forms part of the collection. 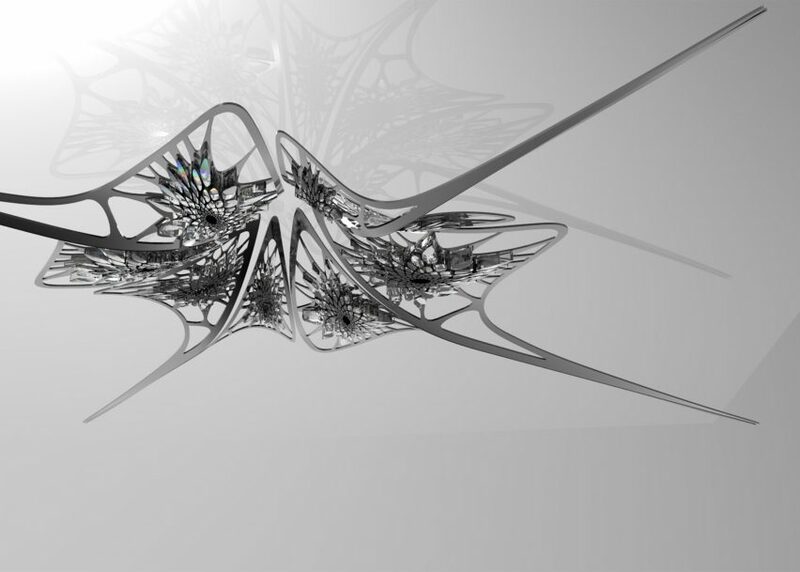 Swooping wings of metal and crystal join at a central point, overhanging small clusters of LED lights. 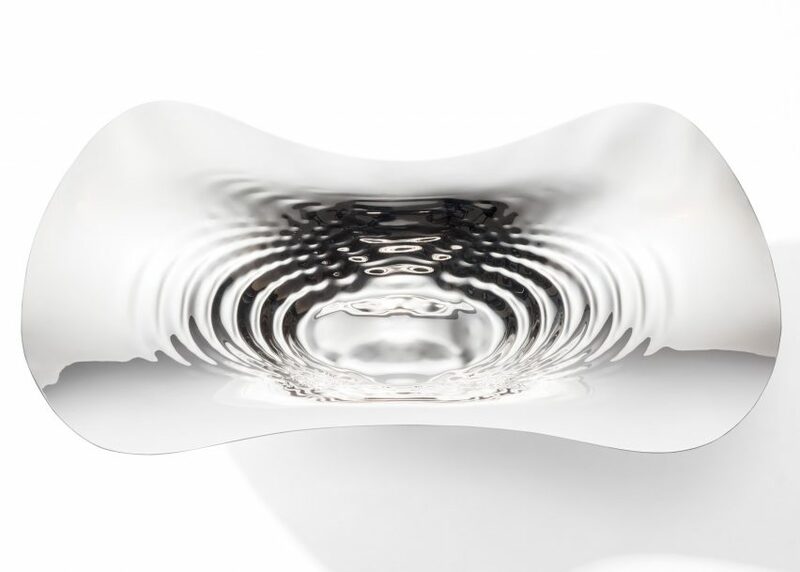 Zaha Hadid Architects also extended the Liquid Glacial collection of furniture for the exhibition with two consoles and a sterling silver bowl that has a large ripple at the centre. 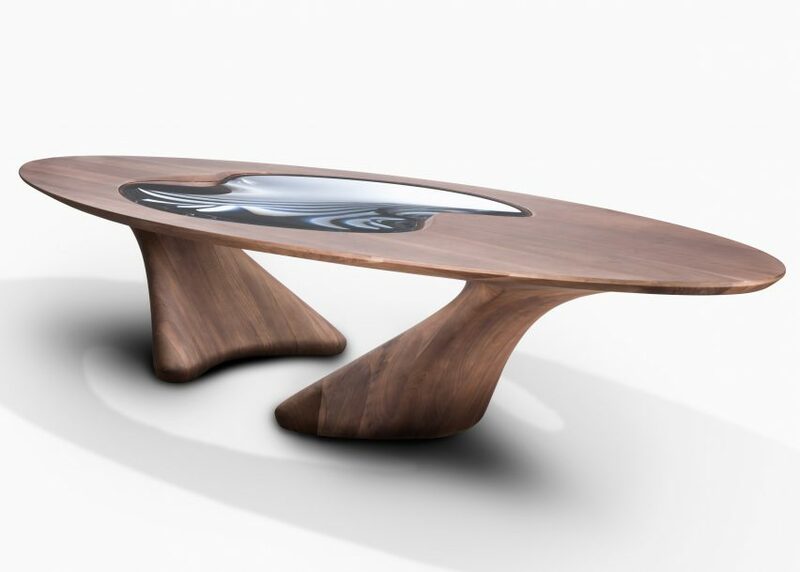 On show for the first time is an acrylic coffee table titled Luna. 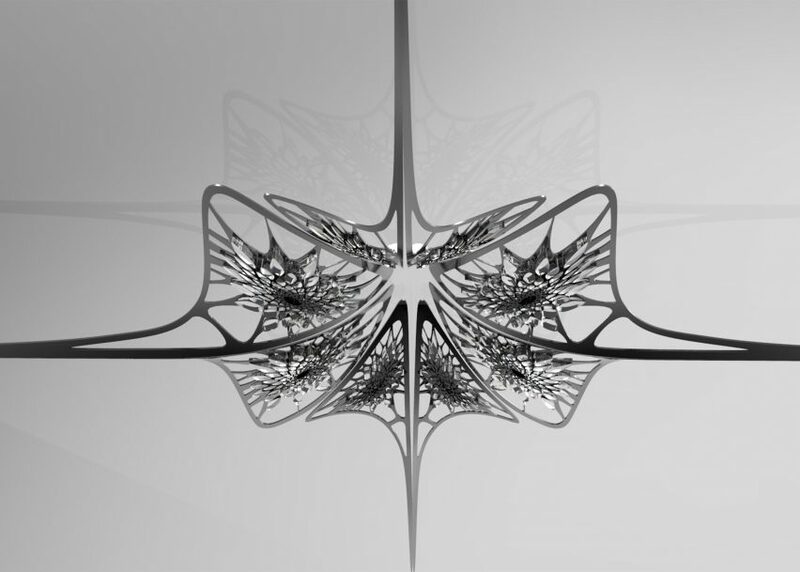 It is based on an original design by Hadid that was first created in marble in 2014. 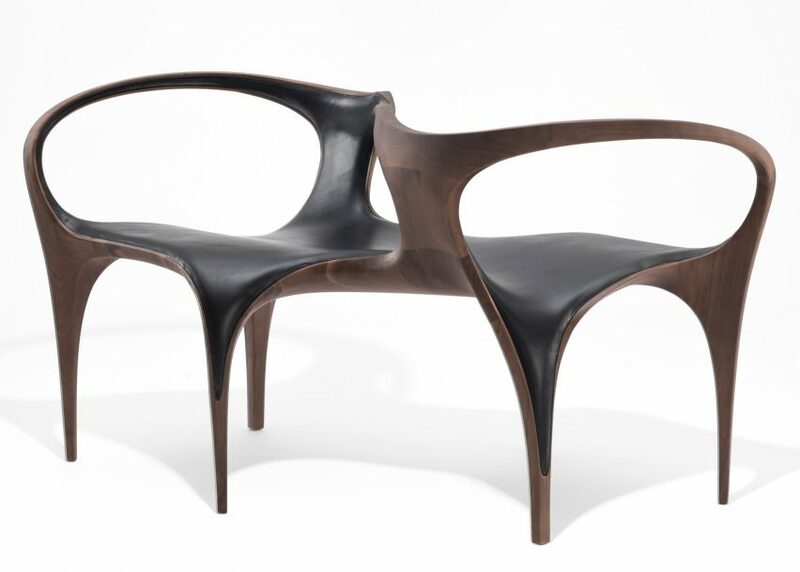 Hadid first began working with David Gill Gallery in 2007, when her studio created a landscape of dune-shaped furniture for the Venice Art Biennale. Following the Hadid's death, the CEO of David Gill Gallery, Francis Sultana, curated an exhibition showcasing the architect's less-known works. At the time of the exhibition, Sultana paid tribute to Hadid as "one of a kind" and a "pioneer, visionary, intellectual, leader, revolutionary". The UltraStellar exhibition at David Gill Gallery in London will run from 3 to 29 October 2016. Photography is by Martin Slivka.